Lurking Rhythmically: Premiering at SHOT 2019 - Ponies. Pistols. Prepping. Late last year, Oleg Volk called me up and said "Congratulations! You sold a photograph!" My reply was "Blarghle?" or something similarly intelligent, as I had no idea what he was talking about. "One of the pictures you took of me during the hog hunt," he explained. 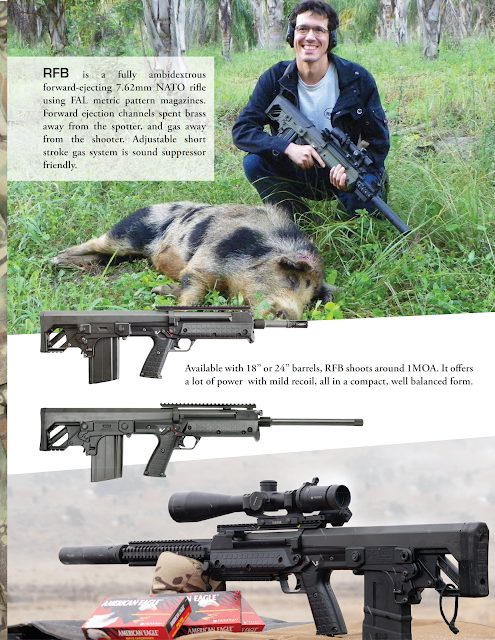 "Kel-Tec wanted pictures of the RFB for their catalog and they didn't like any of mine, but they loved yours. Since you took the picture, I paid you a licensing fee." "Huh," I garbled while checking my PayPal. It's uncouth to discuss how much I received, so I'll just say that it went a long way towards easing the pain of Christmas bills. It's a lot more dynamic and really captures Oleg's personality. But I get why Kel-Tec chose the other photo: they want to showcase the rifle, not the shooter, and the one they picked does exactly that. 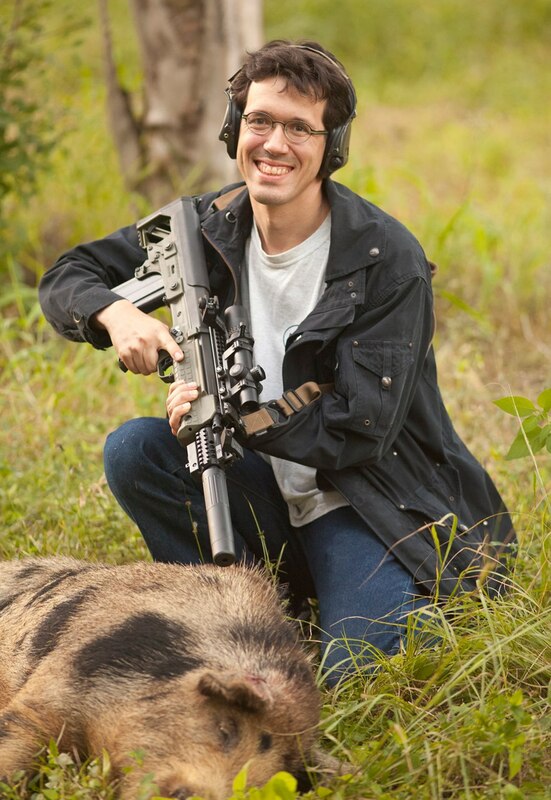 For the story of how I was part of a hog hunt with Oleg Volk, go here.